In the last 16 years, Steven Dwyer has won numerous prestigious awards with his spectacular designing skills and leadership. 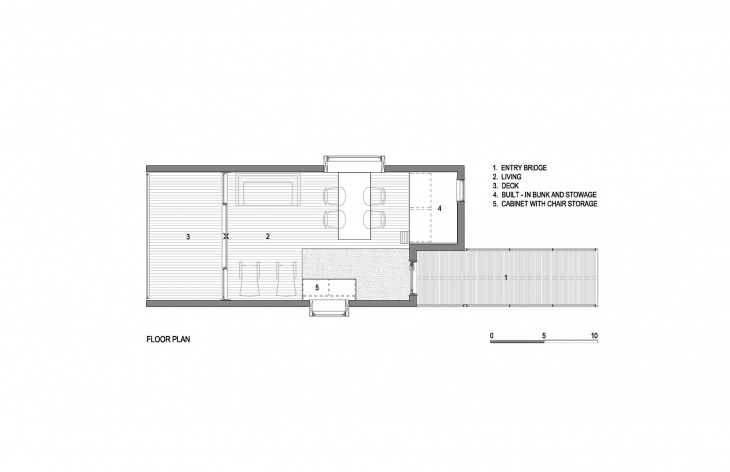 Needless to say, he is one of the most prominent architects – designers in HGA. Steven started his career with Hammel Green and Abrahamson Inc. (HGA) 16 years ago and currently, as a Design Principal leading design in their Arts, Community and Education Group. In 2012, Steven Dwyer was appointed Chair of HGA’s Design Council. The American Institute of Architects (AIA) has recognized his talent time and again by honoring him with multiple awards year after year. 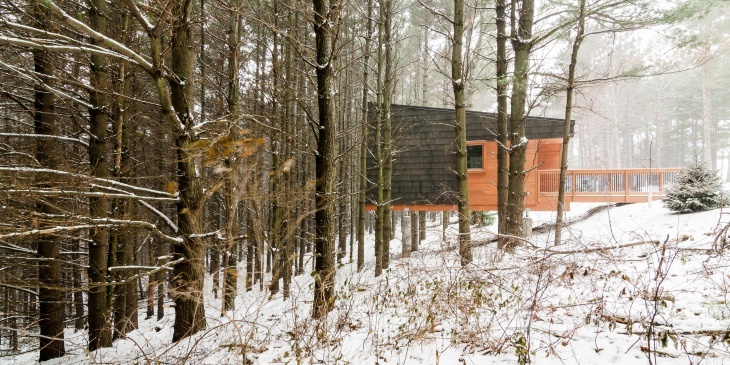 AIA MN young Architects Award in 2007, AIA National Young Architects Awards in 2011 and the recent AIA National Housing Award for leading his HGA Team for designing the magnificent ‘Whitetail Woods Regional Park – Camper Cabins Dakota County, Minnesota Project’ speak for his stature in the World of Architecture. 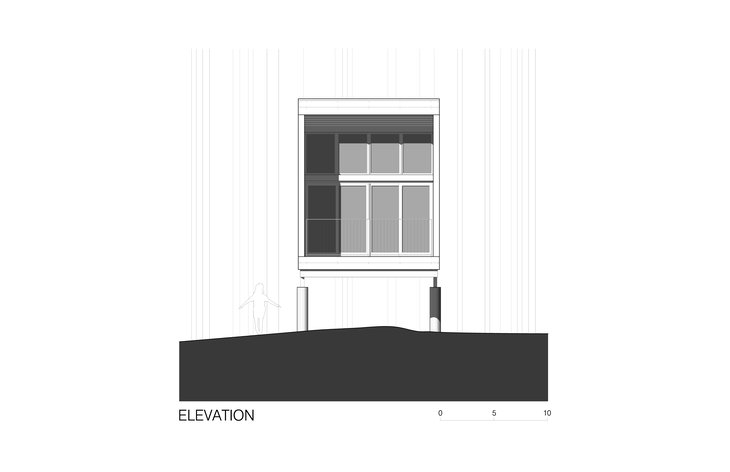 A student of music, Steven happens to have played professionally before architecture attracted his attention. He is still very much active with his first love – music, which has been instrumental to influence his design philosophies. Design Trends’ Johnny D interviews the articulate architect – designer after his recent AIA Awards’ win to understand various aspects of architectural challenges behind award winning project. 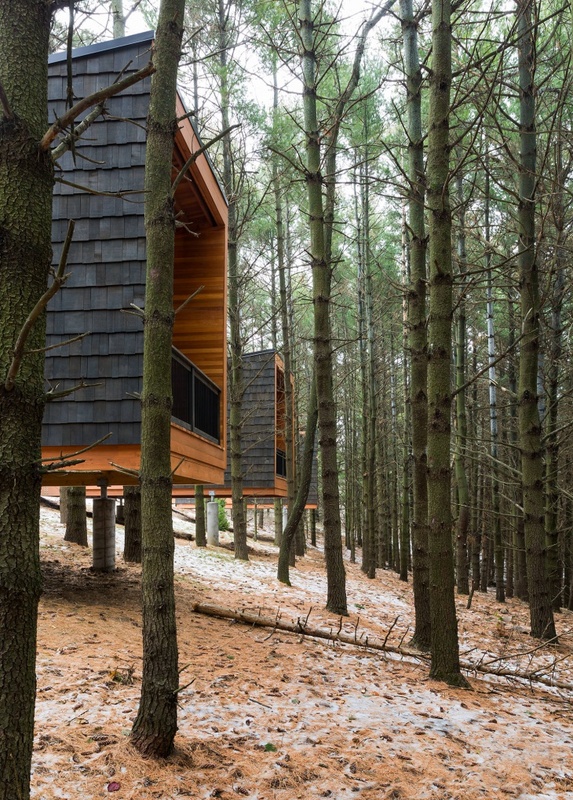 Mr. Steven Dwyer: The camper cabins at Whitetail Woods are a small but significant part in the first phase of the new park’s 450-acre master-plan. Architecturally, the initial phase included 4 building types; a small picnic shelter, trail-head shelter, bath house and 3 camper cabins. 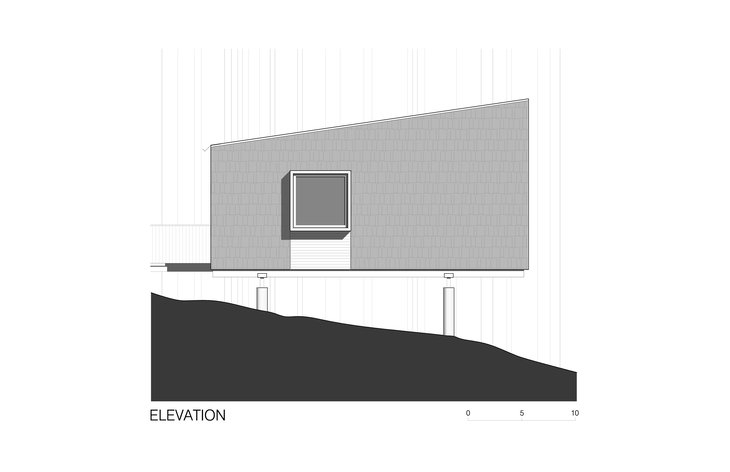 The charge to the design team was to establish an architectural vocabulary with these four structures that was in harmony with the natural environment and in tune with one another through form and material. 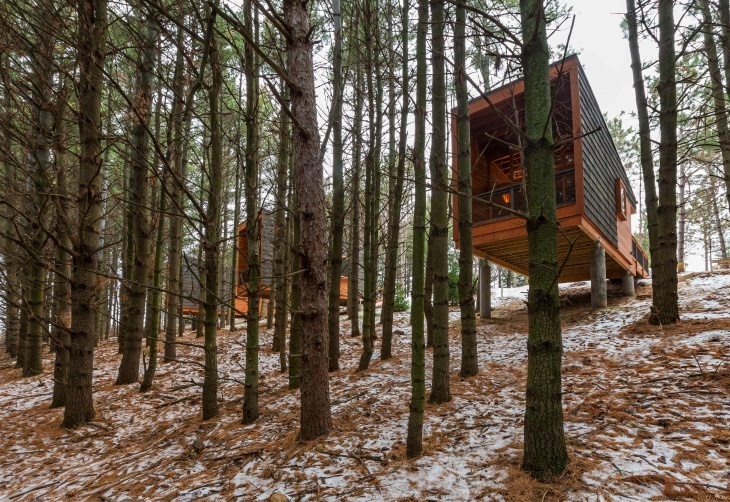 The cabins from the onset were defined in the master-plan as being unique, integrated with the site, sustainable, economically affordable, and restorative for overnight guests through heightened interaction with nature and everything the park has to offer. 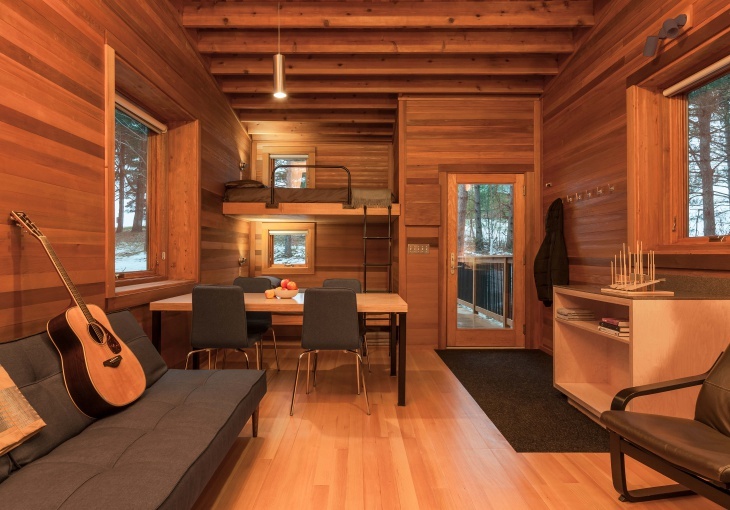 The program for each cabin accommodates up to 6 individuals comfortably using resilient and sustainable design practices. Mr. Dwyer: We were hired after the master-plan was complete to help define and implement the first phase of that plan. The design implementation began with a public visioning session. Following that initial session, we went through approximately 6 meetings and presentations to firm up a plan for the landscape design and placement of buildings. During this same period we explored a series of ideas for the cabins and the picnic shelter. In these sessions the concept, cost, size, and placement of the cabins were defined clearly enough so that we could then focus on the development of the idea thereafter. 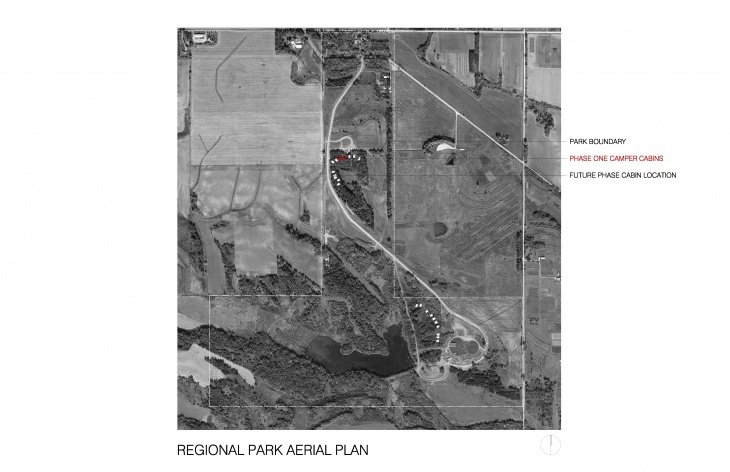 JD: What were the major challenges faced by you while designing the “Whitetail Woods Regional Park – Camper Cabins Dakota County, Minnesota ” project? Mr. Dwyer: Because this was a county park, we needed to garner input from many diverse constituencies. As part of the design process, we tailored our approach in presenting to our main client, the county parks department, then to the Board of County Commissioners, and then to the general public. At each interface, we dealt with different people who had different thoughts on design generally and what the cabins should be specifically. This didn’t mean that we completely changed what and how we presented, but it did mean that we had to be keenly aware of our audience – the way we discussed design to our peers, to our client to the public, and how we balanced input from these different groups. Mr. Dwyer: When faced different opinions, it was important to tailor the message and focus on the most important design issues. In some cases, I spent as much time thinking about how to present design as I did actually designing. What you design is one thing, how you talk about it in order to get it built is certainly related, but can be a completely different thing. 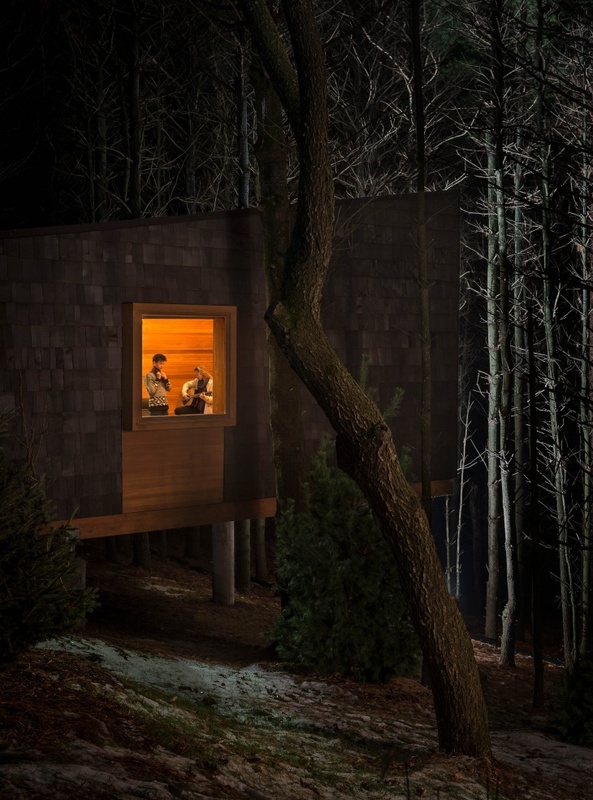 In presenting the cabins, I focused on how the master-plan defined them as something unique with a focus on the beauty of the landscape. This allowed us to compare and contrast what we were proposing against all the precedents that the public and approval boards were familiar with. In this way, we could talk about our stewardship towards the work already done for the county and how the biggest ideas for the cabins were all about creating a unique and immersive experience with nature. JD: Please state the 5 Major Design Elements being incorporated in the project? Please specify briefly the reasons behind it. 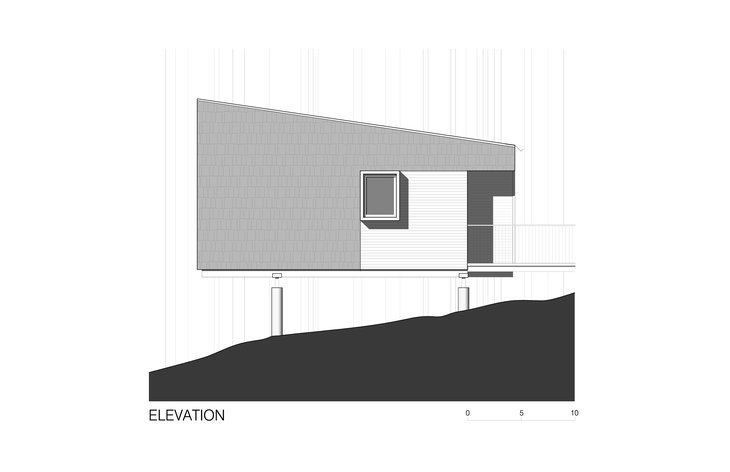 Elevating the cabin was an extremely important element in the design. 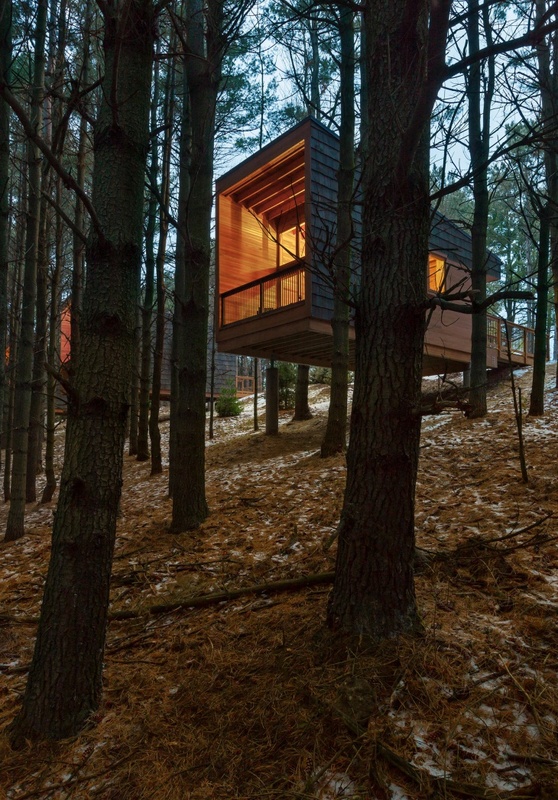 We were aiming for a tree-house experience that would be accessible to all. Instead of a tree-house, we made a house-in-the-trees. The bridge to each cabin was also critical to the experience. It enhances the feeling of crossing into something detached, something different. This is what you want to feel when you’re in the cabin also – knowing the bridge is still out there is part of the interior experience. 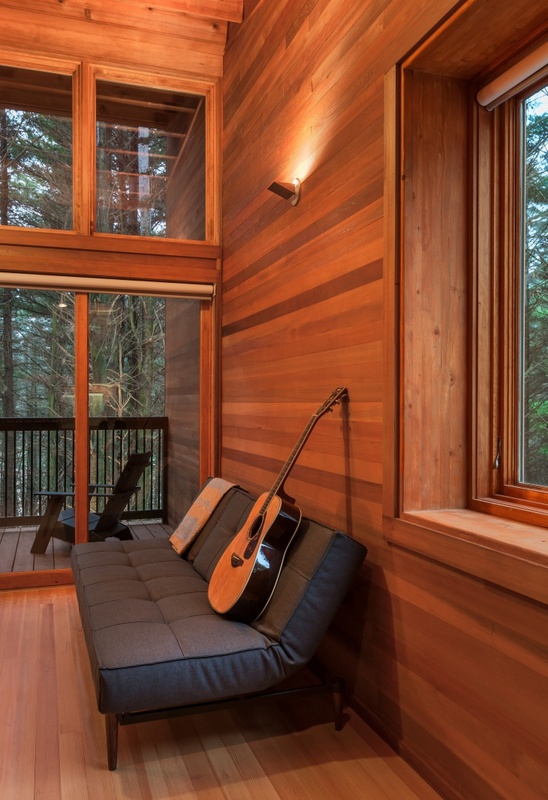 The window-wall at the deck along with the deck is fundamental to the cabin concept. It’s all about framing the view to the exterior and making sure from any point in the cabin you’re able to enjoy the controlled but intimate view of the cedar forest. 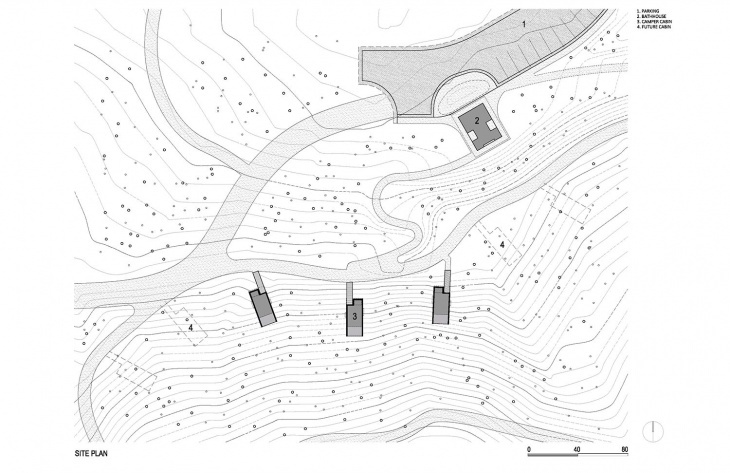 The use of wood throughout was critical, especially in the forested context, to the success of the project. It’s timeless, economical and warm. It’s simply a romantic material. The recessed entry / bunk nook combination works well together – as if it was meant to be. Making the bunks feel like a built-in is an important part of the bunk experience. JD: Please list the 5 primary materials used in the project. In brief, please state the reasons behind each of the material being used. The cedar shakes on the exterior were important in the concept as the stain and texture mimicked the cedar bark in the surrounding forest helping to contextualize and camouflage the cabins. 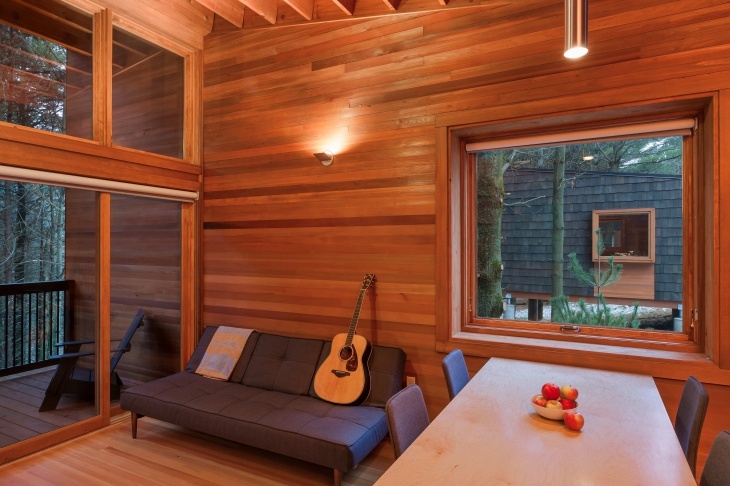 The dark cedar also created the important contrast to the lighter natural finish of the cedar interior. Mr. Dwyer: The project took one and a half years to complete. Mr. Dwyer: Each cabin is approximately $70,000 USD. Mr. Dwyer: The cabin interior is 227 square feet and the deck is 80 for a total of 307 square feet of living space per cabin. Mr. Dwyer: I try not to think in terms of style and instead focus on the context, vision and goals of each specific project. My work conceptually and aesthetically varies significantly from client-to-client. They’re custom tailored to suit, which is quite liberating for a designer when you think about it. I don’t have to depend on the same bag of tricks tied to a particular style. I’m clearly a fan and continues to be influenced by mid-century modernism. I’m a fan of history generally, in architecture, music and industrial design. I am also influenced, like everybody, by what is happening elsewhere in the profession today. Sometimes in design what you don’t do can be just as important as what you choose to do. For me stylistically, I try to be aware of trends with a great deal of focus on what a lot of others are doing so as not to do it. I don’t want to be fashionable; fashion and style are too fleeting for something as long lasting as architecture. I’m interested in longevity and don’t want to build things that are admired only today. I want to build things that will be admired 50 years from now – that’s true resilient and sustainable design. It’s ultimately more important than style. Mr. Dwyer: Our in-house engineers at HGA are a key asset in any project. They deserve a tremendous amount of credit. What isn’t recognized often enough is the role the best engineers have in achieving and importantly improving the design! Our engineers are my most important consultants and partners. There’s simply too much that can go wrong on a project and it’s important to have design conscientious engineers contributing to making our work the best it can be. 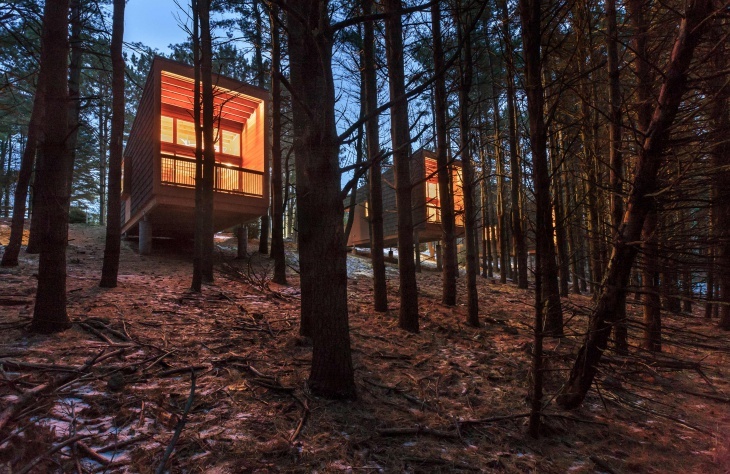 The cabins have been designed to utilize that natural environment of the area and leave a light footprint. 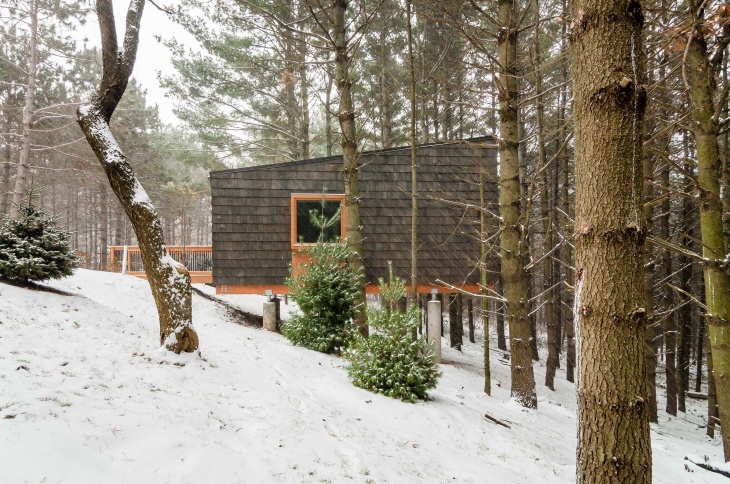 Because each cabin is situated in the cool and solar-sheltered woods, mechanical cooling has been eliminated and each cabin uses natural ventilation to handle building comfort. By optimizing the thermal performance of the envelope we could minimize the amount of heating needed, even in the depth of a Minnesota winter. The project incorporated sustainably harvested wood structure, interior and exterior finishes with non-petroleum based finishes specified. Adjustable task and variable lighting controls helped minimize lighting while allowing the room to be tunable to suit the needs of the patrons. JD: Please enlighten our esteemed readers about the intricacies involved in winning awards one-after-another with your firm’s design creations and reputation. Mr. Dwyer: First and most importantly, I’m self-aware enough to know I’ve been exceptionally fortunate with partners, projects and clients, not to mention, the great support of my firm HGA. Secondly, I have the presence of mind to understand it is all relative – some awards clearly mean more than others. Having said this, it’s nice to simply get any recognition for a project. I enjoy the national and international just as much as local and regional recognition. It’s also a great honor to share awards with our clients. They pay for exceptional design and it’s an honor to have third-party validation that good design is what you’ve provided them. It’s also important to note that awards don’t mean the work is beyond critique. This certainly isn’t the case. I continue to be critical of my own work and I know others are, too. I think this is healthy; it keeps one from getting complacent. HGA is continually recognized as one of the top 50 firms for design quality in the US, and internally, project designers are both supportive and competitive. This means there is a certain amount of pressure to perform, to maintain and ideally elevate the design reputation of the firm. I don’t aim for awards when designing – ever. My work first and foremost, is about doing the right thing for my clients, but it certainly is great having the validation that the decisions you made in design resonate with critics and juries. JD: Please mention Major Awards won recently by your firm along with Project’s Name.